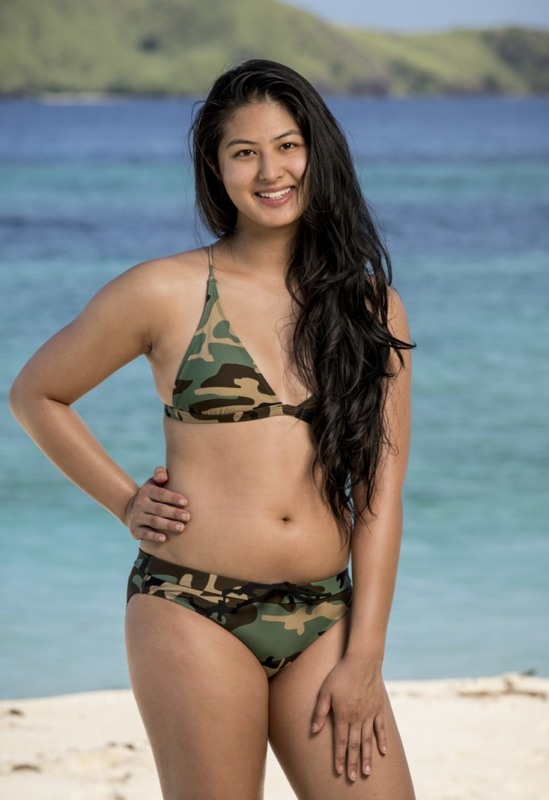 When it comes to getting her slot on Survivor: Heroes vs. Healers vs. Hustlers, Simone Nguyen has one of the most unique motivations we’ve ever heard. During our one-on-one interview after she became the second person eliminated, Simone explained how the election of President Donald Trump helped put her on the reality show. 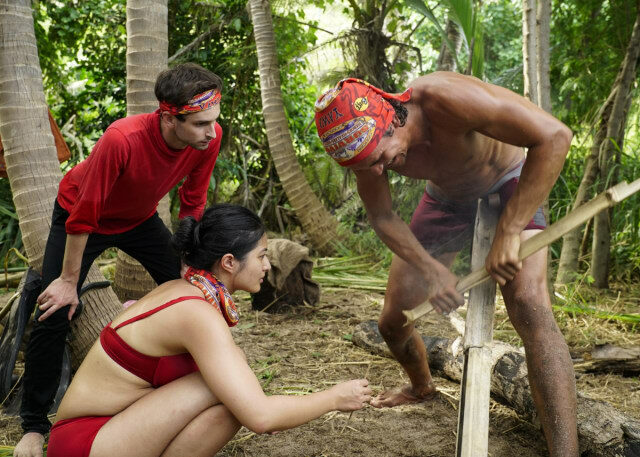 She also revealed that two castaways in her tribe had a secret connection and have known each other for years. Find out who they are and learn which player she thinks is most deserving to win it all with our latest in-depth chat. Enjoy! SheKnows: How did you get on the show? Simone Nguyen: I don’t know what you do when you’re stressed out, but I binge-watch television. So, Donald Trump was elected, and I was not feeling that. Since I was depressed, I was binge-watching Survivor. I was like, “Oh, a reality star has been elected president. Clearly this is not going to hold me back in my career.” I sent in an audition video like two weeks after the election and got a call back in a few days. Before I knew it, I was in Los Angeles for the auditions. It happened really fast. 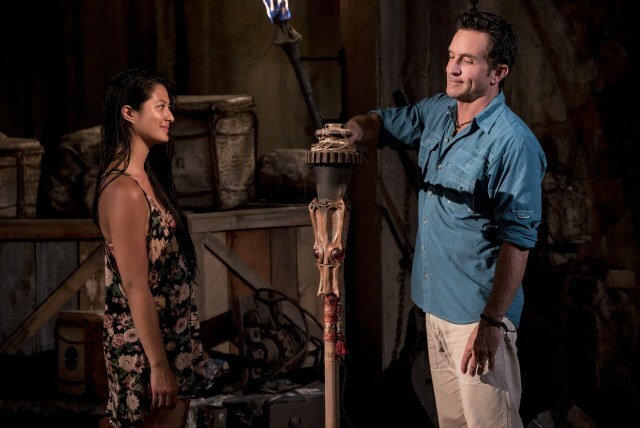 SK: So, can you credit Donald Trump with the reason you were on Survivor? SN: No. I won’t credit that man with anything [laughs]. 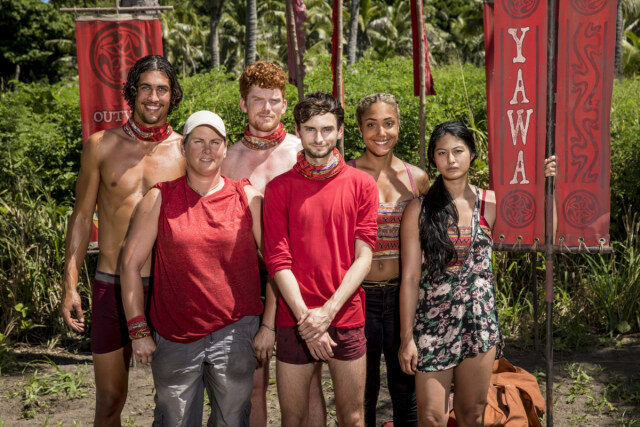 My own response to the political and social climate is the reason I was on Survivor. You’re not given any news, even after getting voted out second. I was hoping I would come home to see he was impeached. But that didn’t happen. SK: You bring up Donald Trump. Was he a topic of conversation in the game? SN: Nobody talked about politics at all. Let me just say, there was more than one Trump supporter on my tribe. Everybody on my tribe was either conservative or apolitical. It was just kind of tough, because me, this progressive from New York, comes in and has a living talking about difficult topics nobody wants to talk about. Yeah, let’s talk about race. Yeah, let’s talk about social inequalities and economic inequality. Nobody wants to talk about that. It’s not a surprise to me that I didn’t fit in. SK: Did you have any idea your elimination was coming? SN: Yeah. Being on my own tribe was like watching a play. I could see all these other people connecting and finding common ground before me. Lauren and Ryan were connecting over the fact they have unconventional body types. I didn’t have any moments like that. You see Devon goofing around with everybody. Ali and Patrick obviously knew each other. It was like I was watching Survivor in front of me, but I couldn’t break that wall. That, coupled with the fact I didn’t do well on the puzzle, it made me feel like I needed to scramble. SK: But going into that vote, did you know what was going to happen? SN: I thought it was 50-50, me or Patrick. I thought the person who would’ve decided that vote was Ali. She’s the one that Lauren followed like crazy, but also the one who got along best with the guys. Patrick is so difficult to live with. I love him, but he’s so difficult. He gets up in the middle of the night yelling, “It’s morning! Everybody wake up!” You have no idea how tough that is. You get like three hours of sleep a night and you’re hungry all the time. I really thought there was a chance people would vote out Patrick instead because he made it so difficult to live with him. I kept telling people that a tribal swap was coming and they would want people who would be loyal. I thought if I could convince Ali to get me to stay, that I was set. I wasn’t able to do that, and I wasn’t able to go deep. SK: The others were having conversations about getting rid of Patrick. 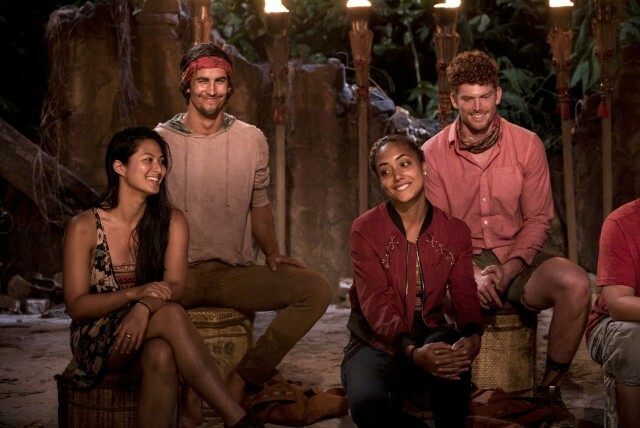 That being said, who do you blame for your elimination? SN: Even though I was so completely charmed and taken in by him at the time, I would say Devon. He basically sacrificed his arm to give us a challenge lead. He came back with a bruise that was almost the size of Ryan. Of course you want to do well in the challenge, but he sacrificed his body to give us the lead. I lost that lead during the puzzle. I think he felt my performance in that challenge was worse for him than anybody else. I think he felt like a lot of the alpha guys feel about performing well in challenges. I wasn’t able to do that. Patrick is really hard to trust, but he’s a mover and a big guy. He’s tough and he’s strong. They kept a person who was a real physical asset. SK: At this point, who is running the show on the Hustlers tribe? SN: It’s a split between Ryan and Ali. Ryan is charming everybody. He was even charming me, and I didn’t want to be charmed because I was too busy suffering [laughs]. He would say a pun, and I would start laughing a crazy amount. He would entertain Patrick and Devon. He was putting on a show for everybody. He wasn’t doing as much work at camp, but nobody even cared because he was just so lively and lighthearted. It’s so fun to be with a person like that because you’re bored 100 percent of the time out there. From a social point of view, he had forged the best bonds. Then there’s Ali. She had the most decision-making power. Lauren attached herself at the hip to Ali. Devon trusted her. The group looked at her and thought she is somebody they wanted to work with. She was fun, but you look at her and think this beautiful goddess of a woman is somebody you want to work with. Ali was running the show because she had Lauren in her pocket and she was the strongest female. SK: What was it like hearing Ryan say on the show that you’re too weird? SN: It’s kind of funny. This guy who has never gone on a date in his life, he’s in love with turtlenecks and doesn’t drink. He’s the oddball calling me weird. You can’t even be mad at that because you fit in with who you fit in with. I wasn’t lying about myself. I was completely open with people. I know the Asian stereotype is that Asians are sneaky. I was being completely open and told everybody about my background and what I do for a living. SK: What was your strategy going into the game? SN: I knew I was gonna be weaker than everybody else, so I was going to let people think they could control me. If you’re going to drag me to the end, yeah, drag me to the end! If you want to take me in and think I will be loyal because I’m physically weak, yeah, do it! That doesn’t hurt my pride. I’m playing the game to get to the next day. I think it would’ve worked, but Ali picked Patrick in the end because they’ve known each other for a long time. They went to college together, which is obviously why she lied about not going to college. SK: Wait. Ali and Patrick had a previous connection before the game? SN: Oh yeah. They kept it really quiet out there. I was as shocked as anybody. They’re like neighbors from college. It’s not like they were best friends or anything like that. They weren’t even Facebook friends. They weren’t super tight or anything like that, but it’s easier to trust somebody who you’ve known for six years vs. six days. SK: Did you belong in the Hustlers tribe? Do you feel that was the right designation for you? SN: I was flattered to be on the Hustlers tribe. Even though I work for a nonprofit and I live my life trying to lift up others, I grew up really poor. I’ve hustled my entire life. I worked really hard to get a full ride through college. My parents are refugees who worked so hard to bring us to this country. I know the value of hard work, and I’m never going to underestimate it. SK: If you could pick one person right now from the Hustlers tribe to win, who would it be? SN: Ali. She wanted it the most. You could tell she was smart and willing to cut anybody’s throat. While Ryan played the best social game, Ali hustled the hardest. She did tons of work around camp. She just got people to trust her, and she really impressed me with her work ethic. 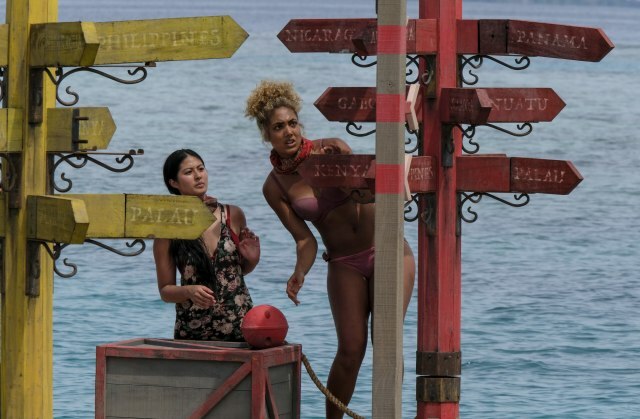 Do you think Simone Nguyen should be asked to play the game again? Join the conversation now and leave a comment in the section below.